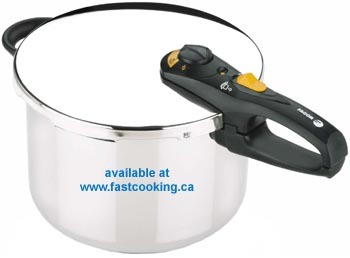 Fastcooking.ca - Pressure Cookers: Are Electronic Pressure Cookers a Good Deal? 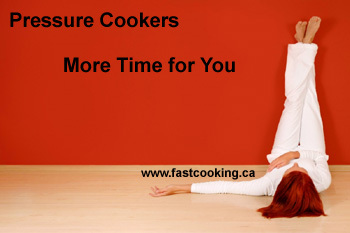 Below are some of the many reasons why we have reservations about electronic pressure cookers. Also see our tips on buying a pressure cooker to learn what to look for when shopping for a pressure cooker. We have considered adding electric and electronic programmable pressure cookers to our existing new generation stainless steel pressure cooker line. As an independent retailer specializing in high quality pressure cookers, nothing would prevent us from selling electronic models such as those from Russell Hobbs, Faberware, Panasonic or another manufacturer, but we feel electronic pressure cookers do not offer good value or quality to our customers. Electric pressure cookers typically operate at lower pressures than high quality stove-top pressure cookers. They, therefore, take longer to cook the food and cost more to operate as they use more energy, which of course you have to pay for every month or two when you get your utility bill. A 15 psi pressure cooker will cut energy use. The electronics and heating elements in electric pressure cookers will eventually burn out or die from the heat. As a result, the life expectancy of an electric pressure cooker is considerably lower compared to that of a modern stove-top pressure cooker made from durable 18/10 stainless steel that doesn’t have any electronics or heating elements. Electric pressure cookers usually have short warranties, often one year, compared to those of modern stove-top pressure cookers. The warranty on Fagor’s Duo is 10 years, as an example. Most electric pressure cookers have the cooking pot coated with a non-stick coating that contacts the food during cooking. Non-stick coatings do not hold up well to the pressures and temperatures inside a pressure cooker. They have also been associated with health problems (see Teflon firm faces fresh lawsuits [BBC News] for example). The non-stick coating makes the use of typical pressure cooker accessories such as steamer baskets and separated trays difficult, because the non-stick coating is easy to scratch. Fagor’s modern stove-top pressure cookers do not use a non-stick coating. Also, the electronics in most programmable pressure cookers contain hazardous materials such as brominated flame retardants in the electronic circuit boards, lead in the electronics solder, etc. Safety features of electronic pressure cookers are typically limited compared to the multiple safety features found on modern stove-top pressure cookers such as the Fagor Duo. An example is the limited number of over-pressure relief valves on electronic pressure cookers. It is hard to adapt published recipes to electric pressure cookers as electric pressure cookers have lower operating pressures and different thermal characteristics from traditional 15 psi stove-top pressure cookers. Stove-top pressure cookers have the flexibility to use multiple energy sources whether from an electric, natural gas, propane, halogen, ceramic or induction element stove and don’t have to just use electricity generated from a coal-fired plant or nuclear reactor like an electric pressure cooker does.